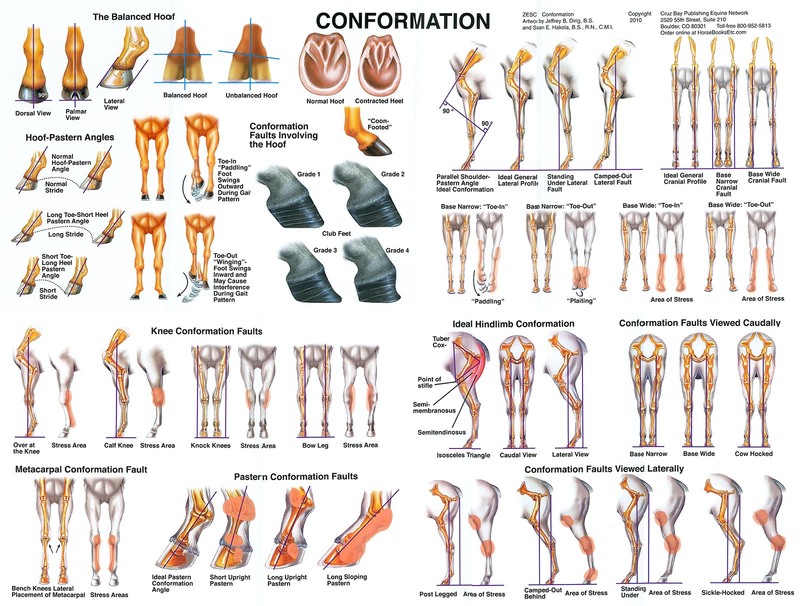 Durable laminated poster shows detailed illustrations of ideal conformation and conformation faults. Shaded areas denote areas of stress on feet and legs with faults. 20" x 26" size and laminated on both sides in heavy plastic.